It has just been announced that the Midland Main Line and Trans-Pennine electrifications have been shelved due to rising costs and the need to cut back. The other drain on finance is the Inter City Express or Incredibly Costly Express, Britain's most expensive train ever, which is replacing stock which is good for another 20 years. The replacement for the 1980s Pacers will also end up being a money gobbler. It is unlikely that the new trains will cost less than £2 million a vehicle. It is worth getting this in proportion. In 1955, a new railway carriage cost £5000 - around £250,000 after allowing for inflation, but let us double it for luck and allow £500,000. Of course the 1955 design would not be acceptable today. It would need retention toilets, though these need not be on every vehicle, and power-operated doors, though the power operation could be confined to door closure, combined with a locking system. It would also need to be built to contemporary crashworthiness standards, though these should not add significantly to the cost as crashworthiness is mostly about getting the metal in the right place through careful calculation of the design. There are also development and approvals costs, which can of course be hefty, but a decent production run should spread these reasonably. Adding all these features should, at the most, give a price tag of £1 million per vehicle. With locomotives available off the peg for around £2.5 million, there is no excuse for the runaway costs of new rolling stock. The other option which the industry refuses to look at is external combustion locomotives with direct drive. These make it easier to meet the current stringent emission standards and, it is claimed by manufacturer DLM, could be produced at a very competitive price given a sufficiently large order. IEP procurement is replacing stock which in some cases could be good for another 20 years, although it is worth noting that not all the HST's will be heading straight to the scrap yard as the will be being used in Scotland. Therefore to cancel the IEP procurement process would leave Scotland short of rolling stock. Also it should be noted that IEP procurement process includes for maintenance for the 27.5 year period for which they are guaranteed to be used, which means that the cost comparison given is not comparing comparable figures. It is interesting that a Loco cost is provided but coach prices are assumed on various vague figures, which would lead me to question how reliable the coach price really is. With the Pacer replacement it should be noted that a Pacers could still be used on the UK network, it is just that certain franchises can not use them and have to find replacements for them including at least 120 new build. However it should also be noted that new units which are currently being built have been designed to be significantly easier and cheaper to maintain. Meaning that although lease costs could be higher the maintenance costs of new units will be a lot less than at present, add to this the likely extra capacity that the would have (i.e. a likely increase in revenue). This could result in the net result being that the new units are near cost neutral to the TOC over their franchise (i.e. from a small cost increase to a small amount of extra profit). 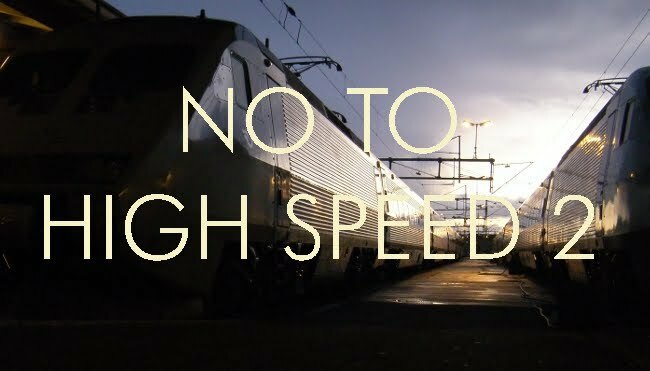 With regards to MML & Trans-Pennine vs HS2, some could argue that because making improvements to the existing network has been found to be more costly than budgeted that this is a very good reason to not undertake improvements to the existing network and to build a new line instead. As the likelihood of unknown problems, (including inaccurately recorded underground equipment, which has caused all sorts of problems on the GWML) is significantly reduced. Informed Sources worked out a vehicle cost of £2.6 million for IEP. Why should a basic hauled vehicle equivalent to the refurbished mark 3s by Wabtec for Chiltern cost more than £1 million a piece? Why has the real cost of a railway vehicle increased so much over the past 50 years when the price of every other manufactured product has dropped, in most cases substantially? Prices have increased because production is so low, due to a very limited market - reducing efficiency. Nepotism, pok-barrel, and lack of competition from a practically closed market also are factors.